Visit the North and south together at Golden Triangle with Kerala Backwaters Tour. In this special itinerary we bring to you the most famous tourist attractions of India: Delhi, Agra and Jaipur along with the idyllic beauty of water bodies of Kerala. An overnight cruise under the expansive starry sky, over the crystal clear water of canal in Kerala will make you experience pure bliss! 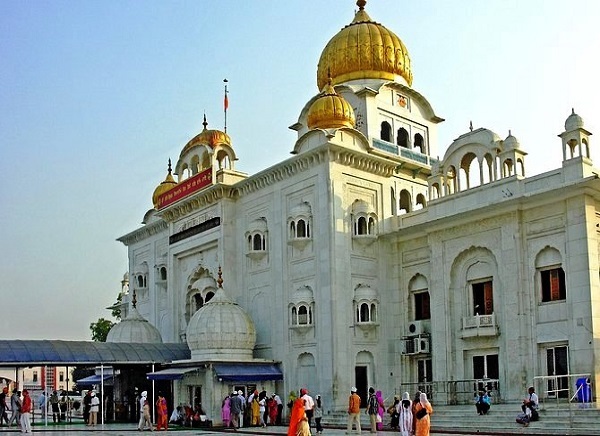 Taj Mahal, Agra Fort, Qutub Minar, India Gate, Hawa Mahal, Amber Fort are some places which should not be missed out while making a tour to the Golden Triangle cities. There are also many other places of interest for the travellers here. And moving on to the next lap of the trip - Kerala, the Ayurvedic treatment at a specialised resort, a splendorous overnight cruise, Vembanad Lake, St. Francis Church (in Cochin) etc. will altogether give you true feel of being at home enjoying the exotic southern hospitality. This splendid tour begins from capital city of India that’s Delhi. On first day as you arrive at Delhi airport you will received by our Travelogy India executive. They take you to the hotel. With a warm welcome at the hotel; we shall assist you with check – in process. There after will handed over all tour related document with some brief discussion about tour program. First Day is completely free for leisurely and personal activities. Also in the evening you can go take a quick walk around the bustling streets of the city. Overnight stay at Delhi. Guided city tour of Delhi lined up for you on second day. On your itinerary you will be having sites like Birla Temple (a temple built by the affluent Birla family dedicate to the preserver of this world-Lord Vishnu), Qutub Minar (built by Qutab-Ud-Din-Aibak), Red Fort (a monument of national importance built by Shahjahan), Chandni Chowk market, Jama Masjid (largest mosque in India), All India War Memorial built in memory of the soldiers who lost their lived during World War I, President’s House and many other. Depart from Delhi to reach Jaipur via a flight and on arrival, check in to a hotel enjoying the unique Rajasthani style of reception. Night stay at the Pink city. 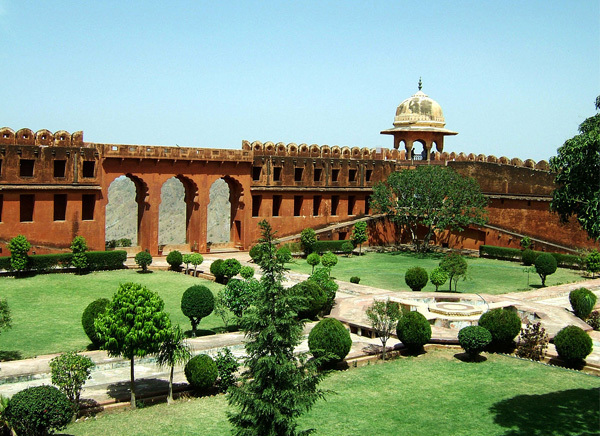 On this day, you will embark on a full day excursion tour of Jaipur. Jaipur is called Pink city because of the pink paint coat that ornaments almost all the structures in the city. It is one of the principal tourist destinations of India and is a part of the Golden Triangle Circuit. Places visited are Hawa Mahal, Jantar Mantar, Birla Temple, Jal Mahal (erected on Man Sagar lake), museum of City Palace, Amber Palace, Nahargarh Fort, Jaigarh Fort etc. The entrance of Amber fort is reached while riding on an elephant. Depart for Agra from Jaipur on day four. Visit Fatehpur Sikri enroute. Buland Darwaza, tomb of Sufi saint Sheikh Salim Chishti and Jama Masjid are some places to watch out for here. 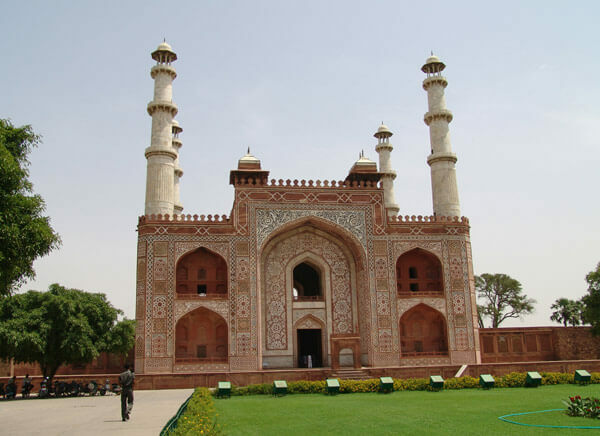 Continue your journey towards Agra - the city which was the capital of Mughal dynasty for some time. On Arrival check in to a hotel and later embark on guided tour of Agra visiting Taj Mahal - a living evidence of Shahjahan’s love for his begum Mumtaz Mahal, Agra Fort (grand red fortress built by Shahjahan), Mughal Gardens and Jama Masjid. Overnight stay in the hotel at Agra. Post breakfast, you will be made to leave Agra and will be driven to Delhi. Enroute a visit to the burial of Akbar situated in Sikandra and Itimad-Ud-Daulah’s Tomb (built by queen Noor Jahan, Jahengir’s begum in the loving memory of her father). As you reach Delhi, you will be moved to a hotel by our representatives. Rest of the day and night stay will be devoted to sheer relaxation. From this day you will start the exploration of scenic Kerala backwaters and for this you reach at the Trivandrum airport from Delhi through a flight. Our travel agent will receive you on the airport and will transfer you to an Ayurvedic resort. Kerala is famous for the Ayurvedic treatments at various resorts specially made for this sole purpose. These Ayurvedic treatments are given in an environment completely conducive for relaxation, rejuvenation and rejoicing of body, mind and soul of an individual. A person can find respite from the busy city life here. During your stay here, you can take yoga sessions and therapeutic massages given by experts and also dance and music classes. In addition to all this, consumption of any toxic substance is completely prohibited in the resort and you are strictly advised to have only vegetarian food. You can spend your leisure time by going for nature walks, touring the nearby villages or easing out at the in-house beach. 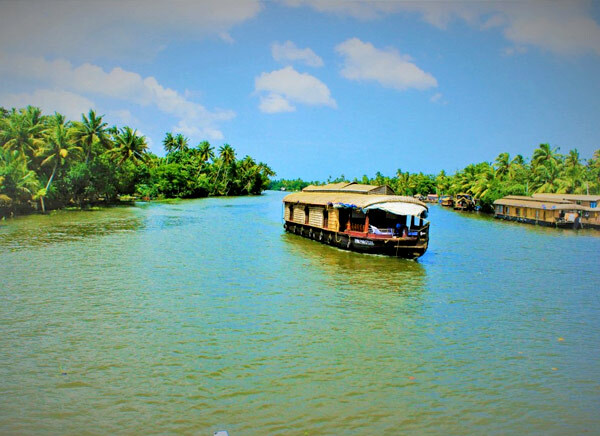 Depart from the resort to arrive at the beach so as to embark on the backwater cruise on a traditional houseboat. As the houseboat’s helm cuts through the calm waters of the canal, it creates a beautiful music that will go perfectly with the scenic backdrop having tall coconut trees and small village settlements lining the canal. Dine at the houseboat and spend your night in here enjoying you ride over the glistening water. The houseboat will sail you through the backwaters to leave you at Cochin. Disembark the houseboat and check in to hotel standing just besides the beach offering a panoramic view of the water. Afternoon boat ride and visit to famous sites like Jewish Synagogue, St. Francis Church (oldest European church in India), Mattancherry Palace/ the Dutch Palace, Chinese fishing nets and Bolgatty Palace. Return to the hotel for night stay. Transfer from Cochin to Kumarakom and on your arrival you will be taken to a hotel. Located on the Shore of Vembanad Lake, Kumarakom is a picturesque village with tall coconut trees and beautiful white lilies dotting the fringes of water bodies. 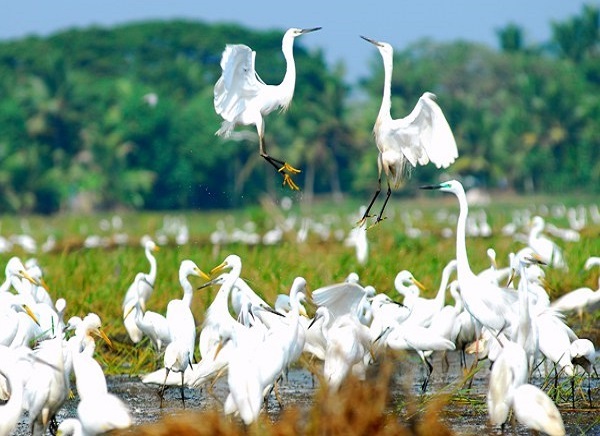 After freshening yourself up and relaxing for sometime at the hotel start for the Kumarakom Bird Sanctuary and carry out a wild safari in here to spot wide variety of birds in their natural habitat. Visit other tourist attractions of Kumarakom also. Come back to the hotel for staying overnight. Come morning, go for boating in the Vembanad Lake and pass across it to disembark the houseboat and start for an assisted drive to Alleppey. Once in Alleppey, you will be escorted by our representatives to a resort to check in at time. An engrossing heritage tour of Alleppey in the afternoon will take you to spell binding sites. Overnight stay at the resort in Alleppey. Wake up to witness a beautiful morning at Alleppey and spend some time at the resort engaging yourself in personal activities. At Noon, check out of the resort and sail to Kollam through the resplendent canals. A probable visit to Alumkadavu. Go off board at the shore and cover the distance between Kollam - Trivandrum by road trip. From Trivandrum airport, board flight to Delhi from where you board a connecting flight to the onward destination.